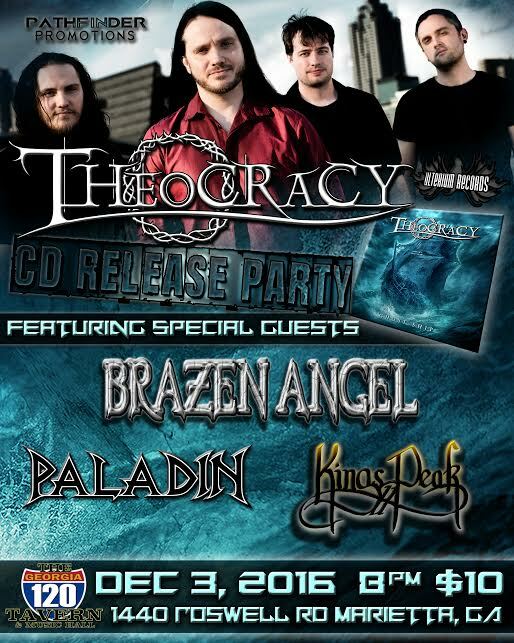 “At last, the day you’ve been asking about for years has arrived…THE NEW THEOCRACY ALBUM IS HERE!!! We pray that Ghost Ship will be an encouragement to you, and for anyone hurting out there, we hope these songs will minister to you in some way. Thank you for your support, for listening, and for making it possible for us to continue doing what we do. We had our third five-hour rehearsal of the week tonight to prepare for the tour, and as the clock struck midnight on release day, we happened to be playing “Easter.” It was a great moment. Then we found out that the “Ghost Ship” video has already passed 100,000 views, and that our upcoming show in Neckarsulm, Germany has officially sold out! THANK YOU ALL for making this day extremely special for us, and we hope you love the album. “Ghost Ship” reviews are coming in, and they’re fantastic! We just got the news that the album got a perfect 10/10 review in the new issue of Powerplay Magazine UK that comes out on Friday! Check out a couple of online reviews below! Check out the brand new music video for “Ghost Ship”, the title track from our new album! 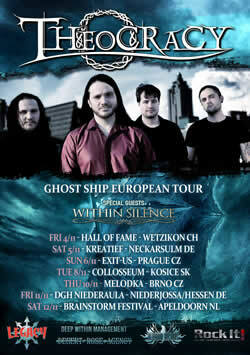 “Ghost Ship” will be released on October 28th. Pre-order the album from iTunes and get the title track as an instant download. Thanks for your support! Check out the brand new lyric video for the track “Wishing Well” at YouTube below! “Ghost Ship” will be released on October 28th. Pre-order [CD/2LP] from the Ulterium Store or Amazon. Thanks for your support! We’re happy to announce the first US show after the release of “Ghost Ship”! We hope to see many of you on December 3rd in Marietta, GA! Check out the show page for more info. Check out the brand new “Ghost Ship” album teaser at YouTube below! “Ghost Ship” will be released on October 28th. Pre-orders [CD/2LP] are available from the Ulterium Store or Amazon. Thanks for your support!